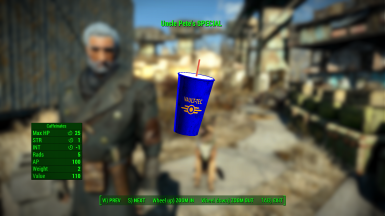 Enable UnclePetesSpecial.esp using a mod manager or manually. 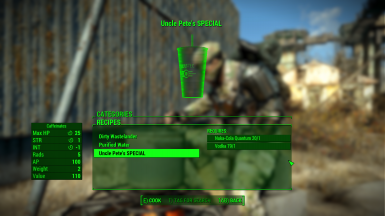 You can craft Uncle Pete's SPECIAL at any Cooking Stations under the BEVERAGES tab. 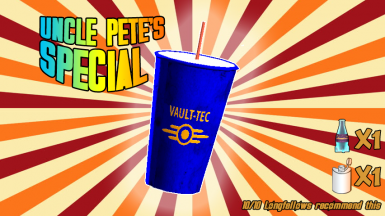 1 Nuka Quantum + 1 Vodka = 2 cups of Uncle Pete's SPECIAL. No vanilla records have been modified. 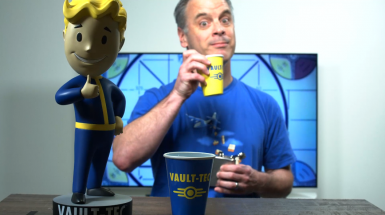 No known possibility for any compatibility issues with any mods.